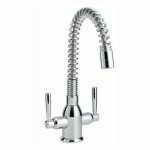 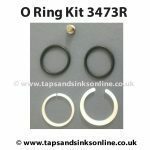 The Carron Phoenix Dante Spiral Tap is a dual lever controlled kitchen tap that combines a curved (swan neck) spout with the added detail of spiral wiring. 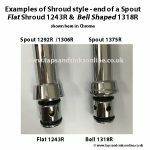 The spiral detail is for decorative purposes only. 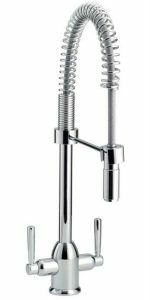 For a taller ‘professional’ style Kitchen Tap, see the Carron Dante Pro here.